Utah’s wealth of natural resources also makes it a target for development. Energy and mining operations continue to increase near national park boundaries. The majesty of Delicate Arch. The remarkable spires and vast wildness at Canyonlands. 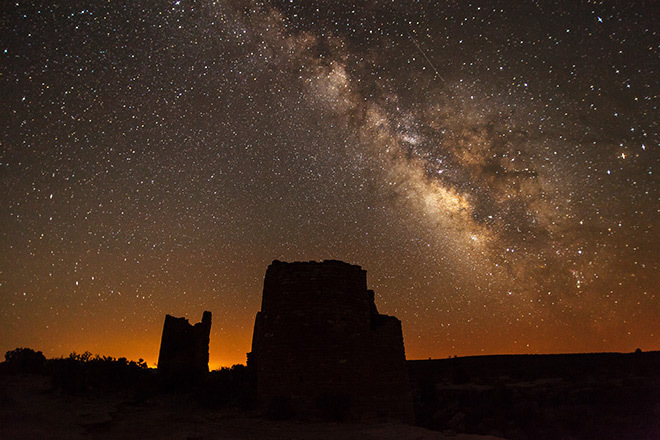 The glow of the Milky Way above Hovenweep. As a Utah resident and an outdoor enthusiast, it doesn’t surprise me that people from around the world flock to the one-of-a-kind rock formations, canyons, petroglyphs, archeological ruins, and astounding night skies at the national parks in this amazing state. Nearly 11 million visitors enjoyed these spectacular landscapes and historic sites in 2014 alone, boosting local economies and raising Utah’s profile as a world-class vacation destination. 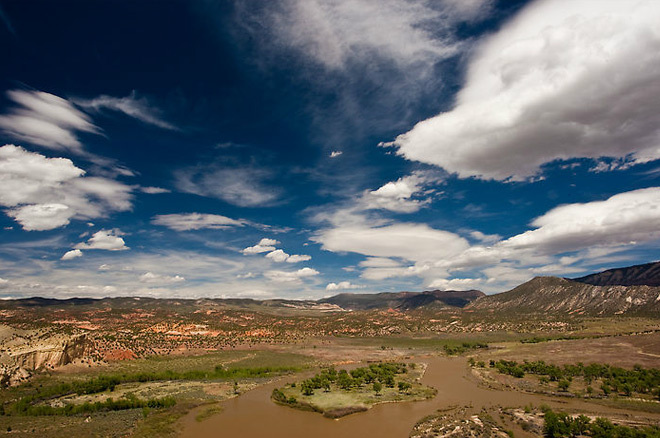 Utah’s wealth of natural resources also makes it a target for development. Energy and mining operations continue to increase near national park boundaries. This private development along with growing recreational use threaten some of the very places that make the state so special. One ongoing effort, the Utah Public Lands Initiative, could help—if done right. Utah Congressmen Rob Bishop and Jason Chaffetz have led the initiative since March 2013 with the intent to develop legislation addressing long-standing conflicts between the outdoor recreation community and the development of oil, gas, tar sands, and potash. The initiative has drawn hundreds of stakeholders with diverse proposals for shaping what such a compromise should look like. Since the beginning, NPCA has been at the table to ensure that our national parks and monuments are included in the conversation. NPCA has advocated for an open, transparent process to evaluate the larger landscapes and determine how to best maintain their remote, adventuresome nature while promoting strong economic benefits for the state and allowing responsible recreation and development. To be successful, we feel—at a minimum—that the initiative must address the needs of the following four national park sites that are at particularly high risk from adjacent development, irresponsible off-road vehicle use, and other threats. Mesa Arch in the Island in the Sky District of Canyonlands National Park, Utah. Photo © Bigstockphoto. What’s at Stake: This park’s otherworldly landscape of eroded rock formations is a maze of needles, spires, mesas, buttes, and canyons created by the Colorado and Green Rivers, which join and flow through the core of the park. The park also encompasses world-class archeological and historical sites, from 10,000-year-old Ancestral Puebloan rock art to more recent cowboy camps. 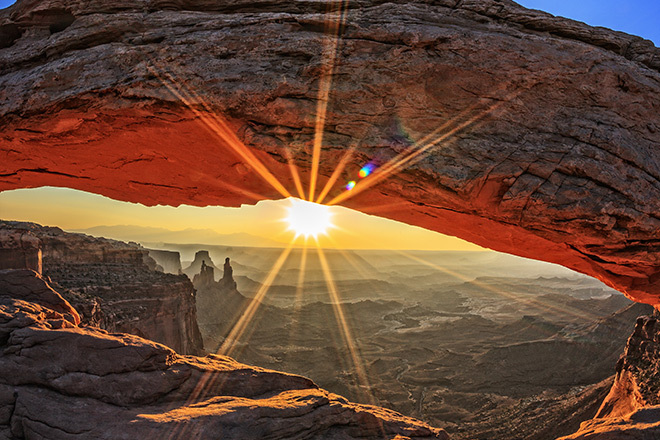 At Issue: For decades, NPCA has maintained that the current boundaries of Canyonlands National Park are not consistent with the natural landscape, putting resources at risk. Solution: We advocate expanding the park boundary to include the entire natural basin formed by the rivers and surrounding landscape. This expansion would more accurately represent the original plan for the park and would incorporate adjacent cultural sites, prohibit incompatible development and irresponsible off-road vehicle use within the basin, and protect views within the park boundary. NPCA also proposes designating 287,895 acres of federal wilderness in the park to maintain its remote, wild character. 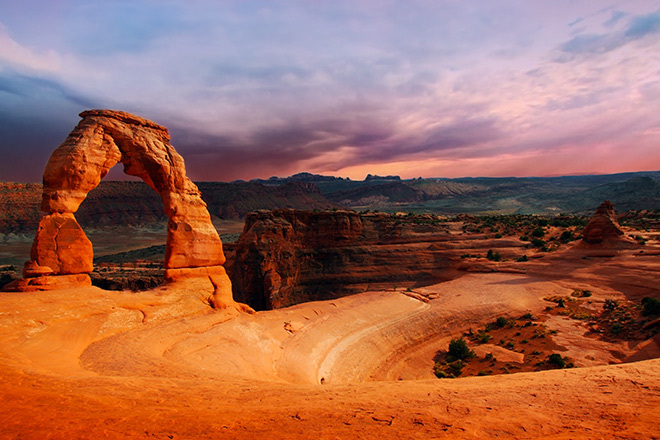 Delicate Arch, one of the most famous formations at Arches National Park—and in Utah. Photo © Jf123/Dreamstime. What’s at Stake: With its gigantic arches, natural bridges, balanced rocks, and other unique sandstone formations, Arches offers a dramatic high desert landscape with expansive views of the Colorado Plateau and its incredible star-filled night skies. At Issue: Similar to Canyonlands, Arches is experiencing increased pressure from oil, gas, and potash development along with a growing number of visitors. Solution: Expanding Arches National Park would further protect its magnificent scenic vistas, soundscapes, natural darkness, and wild character from adjacent development pressure. NPCA recommends expanding the park to protect views through the Windows and Delicate Arch out to the La Sal Mountains as well as from adjacent energy development and mineral extraction activities near Salt Valley. To protect the parks remote, wild character and ensure a seamless, wilderness experience, NPCA also urges an expansion around Lost Spring Canyon and the designation of 73,312 acres of recommended wilderness. What’s at Stake: Tucked away near the Four Corners area of southeastern Utah, Hovenweep National Monument protects the ruins of six Ancestral Puebloan villages where over 2,500 people inhabited masterfully built structures, farmed the fertile mesas, and enjoyed expansive views of the sagebrush-covered landscape and pristine dark night skies. At Issue: Hovenweep is experiencing increased pressure by the oil and gas industry to lease more land near the national monument and throughout much of the Four Corners area. Solution: Expanding the monument boundary would more broadly safeguard the area’s lands, cultural resources, views, dark night skies, natural sounds, and watershed. It would also establish contiguous protection with the Canyon of the Ancients National Monument, a 275-square-mile protected cultural landscape across the state line in Colorado with over 6,000 documented archeological sites. The Green River as seen from the Island Park Overlook at Dinosaur National Monument. Photo © Rinus Baak/Dreamstime. What’s at Stake: Dinosaur National Monument, which straddles the northeastern corner of Utah and the northwestern corner of Colorado, protects more than 200,000 acres of remote, rugged landscape, including stretches of the Yampa and Green Rivers and their confluence, 3,000-foot deep canyons and surrounding mountains and plains, and an 80-acre dinosaur quarry with extraordinary prehistoric remains. At Issue: Oil and gas development is encroaching on both the Utah and Colorado sides of the monument, and extended drought in the Colorado River Basin is straining the flow of water through the monument. Solution: NPCA urges Congress to establish wilderness and wild and scenic river designations for the Green River inside the monument as well as a wilderness designation adjacent to the monument. These additional protections will help the future of the monument and the tourism economy dependent on it. With a skyrocketing number of national park visitors generating over $1 billion toward the state economy, we can all agree it is in Utah’s best interest to preserve the expansive views, arches, rivers, canyons, and night skies that rival those found anywhere in the world. We urge the congressional delegation to include these important recommendations in pending legislation to ensure our most spectacular national treasures are treated with the reverence they deserve. Erika is a Senior Program Manager in the Southwest region. She focuses primarily on issues concerning the national parks in Utah.